Breakfast is most definitely the most important meal of the day. Your body has been without food for eight hours or more; so by the time you head to the breakfast bar, it is craving nutrients, protein and fuel; to repair, rejuvenate, and ready itself for the day ahead. 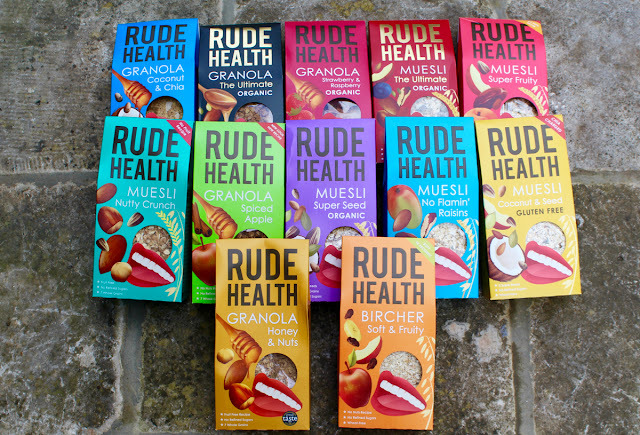 My breakfast options are sorted, at least for the first few days of the tour; I've stocked up with Rude Health granola and muesli. The Spanish aren't renowned for their breakfasts, or for being open early; so it seemed prudent to come well-prepared with breakfast provisions for the first few days. Your 'Every Ride Carry' - what you carry with you, when you head out on the road or trails, is an incredibly personal choice. It could suggest you're a daring personality; adopting a stripped-back approach, but chancing a mechanical. It could suggest you're adventurous; taking enough supplies for an epic ride. It could suggest you're super organised; when there is a place for everything, and everything in its place. Adopting a Bellroy wallet as part of your 'Every Ride Carry', suggests minimalism, adventure, organisation, and class. The Bellroy products that I've previously reviewed on the blog quickly won me over, and many of them now feature in my kit layouts for every ride. 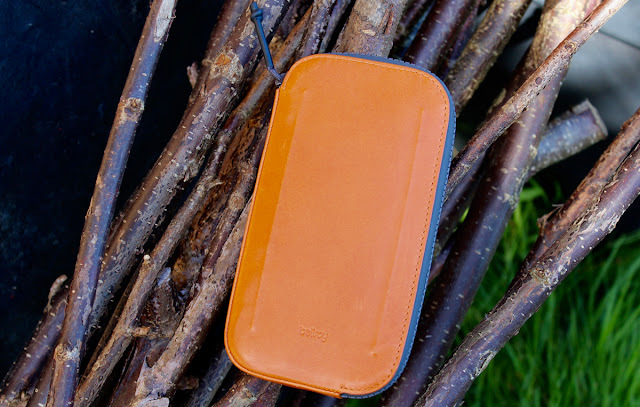 The new Bellroy All-Conditions Phone Pocket is one of the most recent additions to the extensive Bellroy wallets range. It is a smart weatherproof pouch; designed to hold phone, cash and cards; all in a protective package. 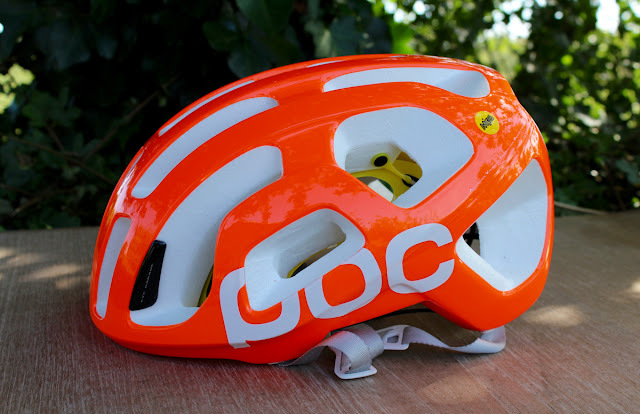 My review of the POC RaceDay Octal helmet was a winner; it fast became one of the most viewed and most re-tweeted posts on the blog. 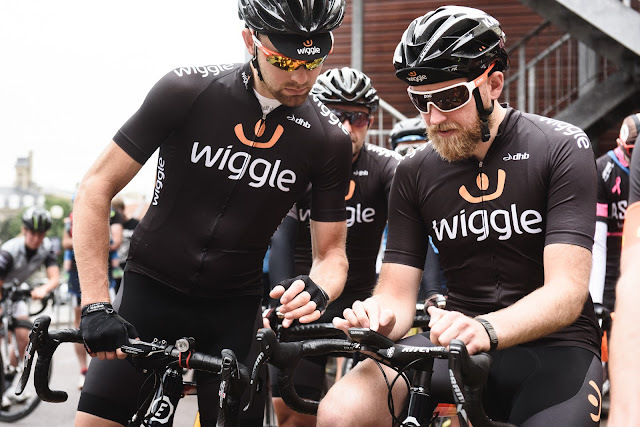 The helmet itself, also won me over; with its super lightweight, well-vented and incredibly comfortable design; not to mention its 'alternative' looks, and superb safety rating. The new POC Octal AVIP MIPS Helmet, looks like it could go one pedal stroke further; providing increased protection, and an even louder colour palette and feature list. AVIP MIPS Protection System MIPS stands for Multi-directional Impact Protection System. The design, which constitutes a 'floating' inner shell, aims to reduce the rotational forces on the skull and brain, in the event of an oblique impact to the helmet.